Atariâ? 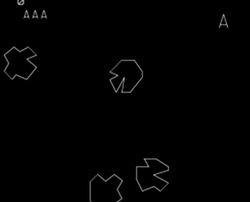 ?s Asteroids is one of most loved arcade games in history. Anyone that grew up in the 1980’s most likely spent many hours of their childhoods hammering away on an arcade, or on the one button controller of the Atari 2600 game console because of this revolutionary game. This was truly a favorite game of many of those kids, and itâ? ?s still a blast to play even by the kids of today. In 1962, a game called Spacewar! was created on the PDP-1 computer. Spacewar! was way ahead of its time. In 1978, Space Wars was released in arcades around the world and it was based on the 1962 version. The game was not a huge success, but it lead to the inspiration of the masterpiece we know as Asteroids. Eventually, a more powerful engine for vector graphics was created making the simulation of physics much more accurate. The more powerful engine led to games with more accurate graphical motion. 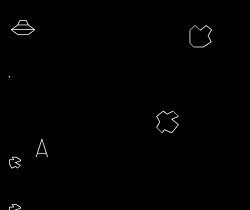 In 1979, Asteroids was released by Atari, and featured vector graphics for accurate motion simulation. Asteroids used a resolution of 1024 x 768 making it have more crisp graphics and motion compared to other games of the day. One of the features of Atariâ? ?s release was that the asteroids would get smaller as they were destroyed, until they were completely destroyed. This game even surpassed Space Invaders in popularity! 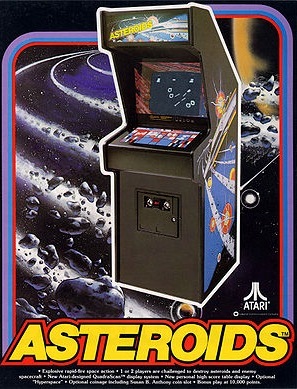 Many Asteroids arcade systems came with extra large coin boxes due to the popularity of the game, and to reduce down time when the systems were full of coins. Asteroids brought great success to Atari and allowed them to continue to be the power house of gaming from the late 70’s to the early 80’s. There was nothing like Asteroids before; it was based on a game from 1962 which was basically before video games, as we know them, even existed! Not many kids ever knew about the rich history of this game. All these kids knew was that there were rocks in space and they needed to be blown to smithereens! This game makes the player feel like they have true skills when they get past a seemingly impossible situation. Itâ? ?s a sense of having the ability to follow multiple targets while destroying them, and avoiding them, all at the same time; that makes this game so rewarding to play. It breeds competition between players as they see who can get the highest score and reach the highest level. The teleport button will jump the player to a place on the screen possibly out of danger, but they never know where they will end up! In addition, there is a whole strategy of being able to visualize how the edges of the screen will move bullets to the opposite side, allowing targets to be destroyed at blazing speeds. UFOâ? ?s also fly across the screen providing a boost to the score from targets which actually shoot back! It seems like such a simple concept compared to the drastically complicated strategic simulators available across the gaming industry today. Sometimes simple is all that is needed for success. The fun factor and the strategy make this game amazingly addictive to play; even when played by todayâ? ?s gamers! Check out the worst ever Atari game.